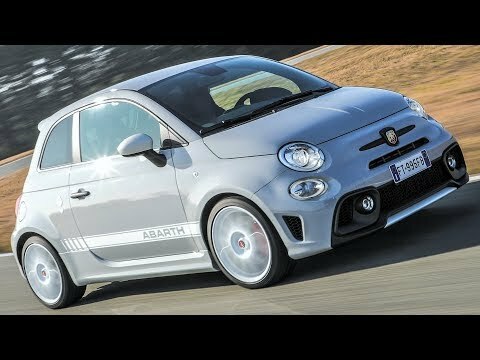 Being on-board the new Abarth 595 Esseesse you will experience true Scorpion-badged performance. Express your racing side with white side stripes and 17" Super Sport alloy wheels and make your voice heard with the unique sound of the Akrapovič exhaust, available for the first time on a 595! Give your Abarth 595 Esseesse even more character with the standard 17" white Supersport wheels and show off your aggressive side, for a rigorously sporty look in full Abarth style. Add even more character to your 595 Esseesse, with side stripes, white mirror caps and front and rear DAM. And don’t forget to celebrate the history of Abarth with the 70thbadge. The Brembo braking system is always primed and ready to pull up quickly, this is thanks to its fixed 4-piston aluminium front calliper and perforated, self-ventilated front brake disc. Featuring new racing seats by Sabelt with carbon shell are perfect for sports driving, and make you feel at one with the road. The high lateral support lets you feel every load shift, for an even more genuine driving experience. There is even more design and grit with the carbon pedals featuring the Abarth Scorpion logo in black and silver, for an even sportier looking 595 Esseesse. *Image featured is LHD. RHD pedals do not include carbon footrest.